Water-thinnable, transparent emulsion primer for equalizing solid substrates with high or uneven absorbency. The primer is particularly suitable for use on AAC (autoclaved aerated concrete). 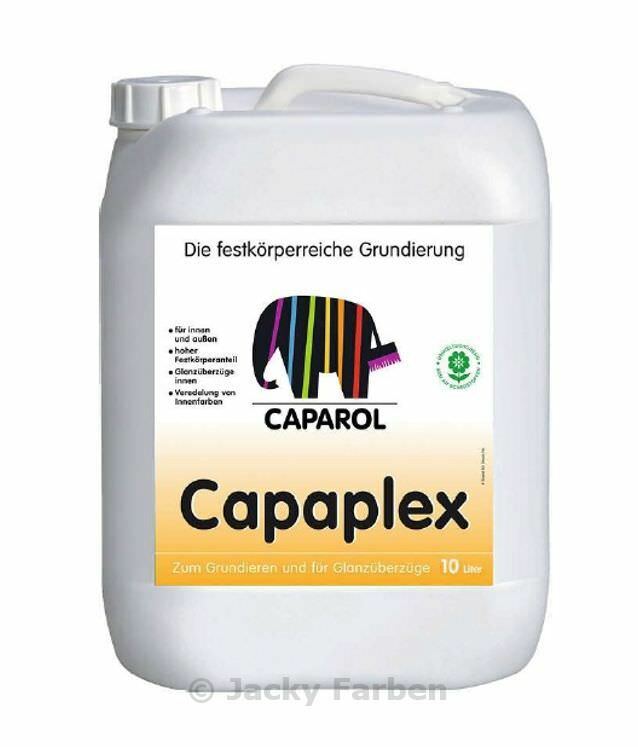 Priming with Capaplex has also a noticeably extending effect on the drying process (open time) of subsequently applied coatings of synthetic plastic paint. Also suitable as wash-resistant, transparent, non-yellowing coating for wallpapers. Modified aqueous synthetic resin dispersion/emulsion.